All our party product are designed for parents, by a parent herself. 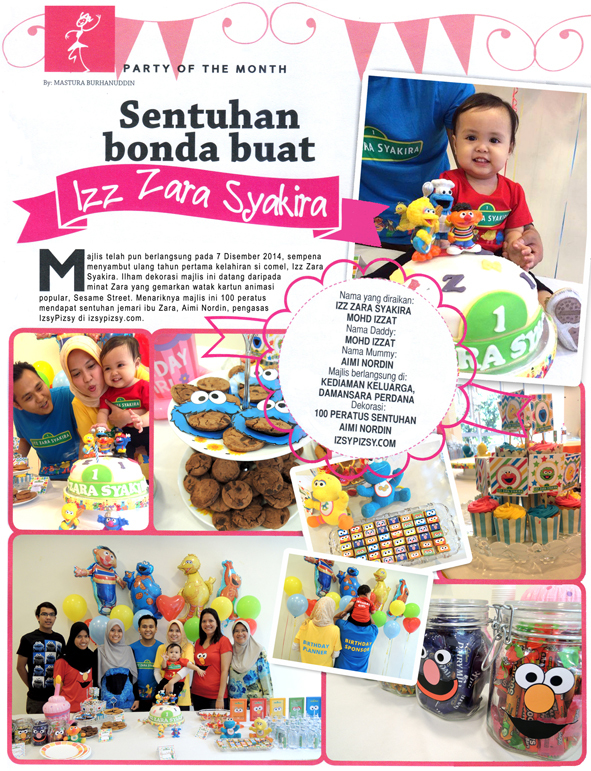 IzsyPizsy's founder, Aimi, started by styling her own daughter's first birthday celebration out of interest and passion. 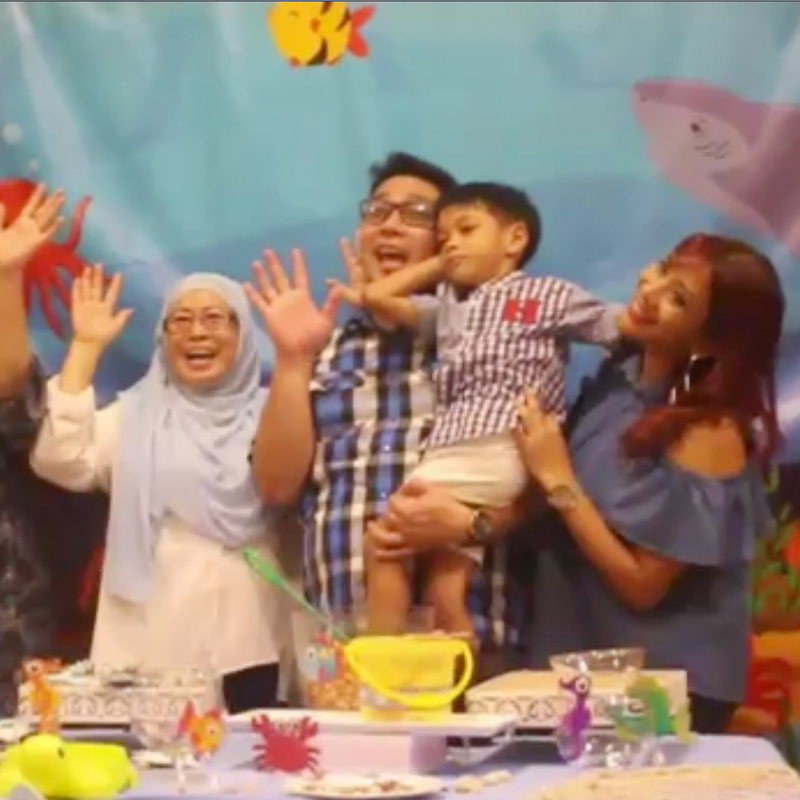 Guests and local medias were attracted by her party decorations and was honoured to be selected as "Party of the Month" in Ibu & Anak Magazine. As quoted, "what's interesting is this party is 100% a mother's touch". And things just exploded from there (in a good way). We grew very quickly - people started to notice our creativity and soon enough we were fully booked from celebrity clients and their support keeps coming in. 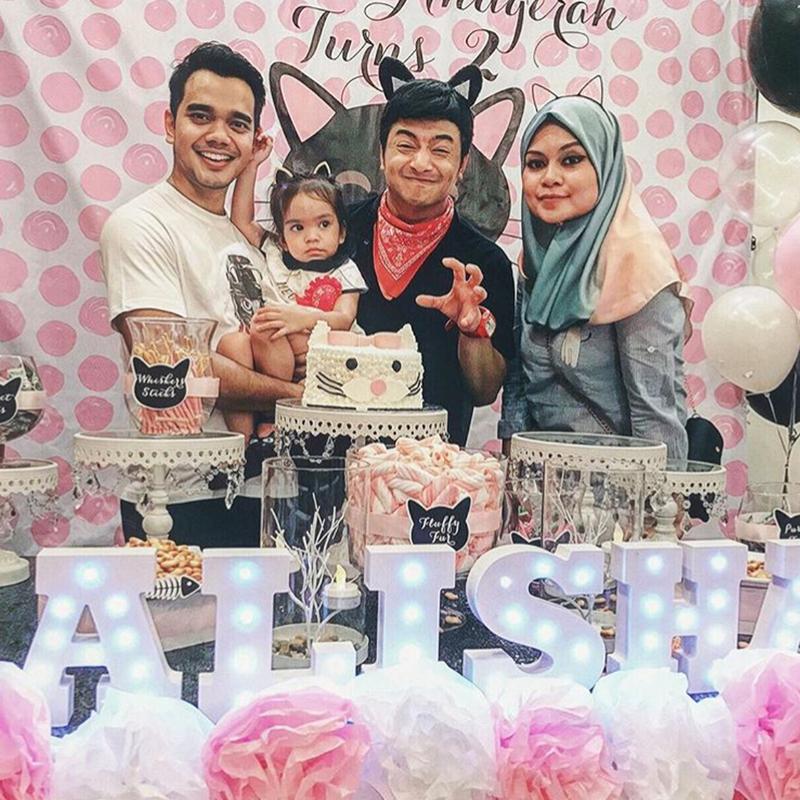 Actor / singer / host Alif Satar engaged us not once, but twice for both his birthday parties. 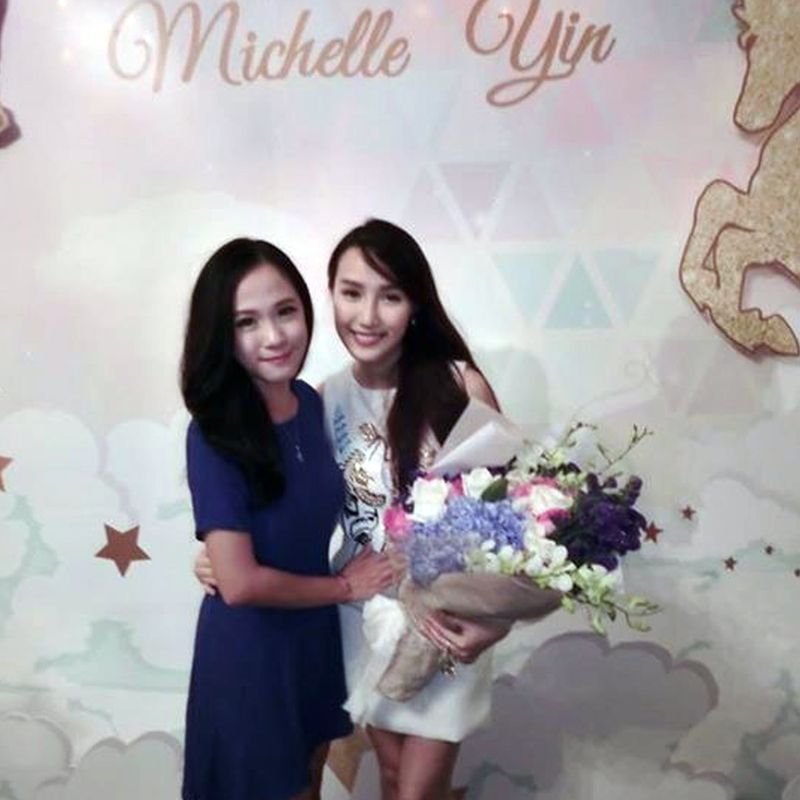 So did actor Niena Baharun - once for her meet & greet event and another for her Hari Raya openhouse. Other celebrity clients include Miss Malaysia Michelle Yin & partner Dato' Brian, actor and activist Zed Zaidi and actor Ikhlas Jalil. Our event decorations often get featured in newspapers with clients expressing their satisfaction with our decorations. As seen in Metro Harian “Sebelum ini saya melihat sambutan sebegini diberikan kepada Datuk Siti Nurhaliza. Namun apabila saya mengalaminya, memang terharu,” said Alif Satar who cried during his speech. “Saya menyangka boleh ‘cool’ apabila tiba di lokasi acara tetapi sangat terharu dengan usaha dan sokongan yang diberikan. Disebabkan itu saya menangis apabila diminta menyampaikan ucapan". We also had a full page coverage on Utusan Malaysia during actor Niena Baharun's event. With our presence being noticed, we often get exclusive invitations for collaborations and event sponsorships. Only the best providers were carefully handpicked to provide their products for those events and the organisers recognise that we certainly take quality and creativity seriously. We're proud to see our brand alongside reputable multinational corporations such as McDonalds world's largest fast food chain, Mothercare and ELC, both being UK's biggest retailers in mom/babies' products and kid's educational toys respecitvely, and SukaSucre Bistro by singer / actor / masterchef Dato' Fazley Yaakob.